Set up your SpotCam is really as easy as it gets. You can use your PC, laptop, tablet, or smart phone to set up your SpotCam and only have to go through 3 easy steps before you can start viewing your video. Don’t worry, this process doesn’t require any technology expertise, you can also watch a step-by-step video instruction here. Before you start, please make sure you have Wi-Fi access to internet. To get started, just click on “Add SpotCam” button and then follow the instructions. 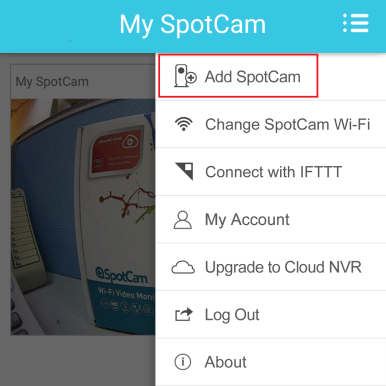 Depends on your device, “Add SpotCam” button can be found in different places. 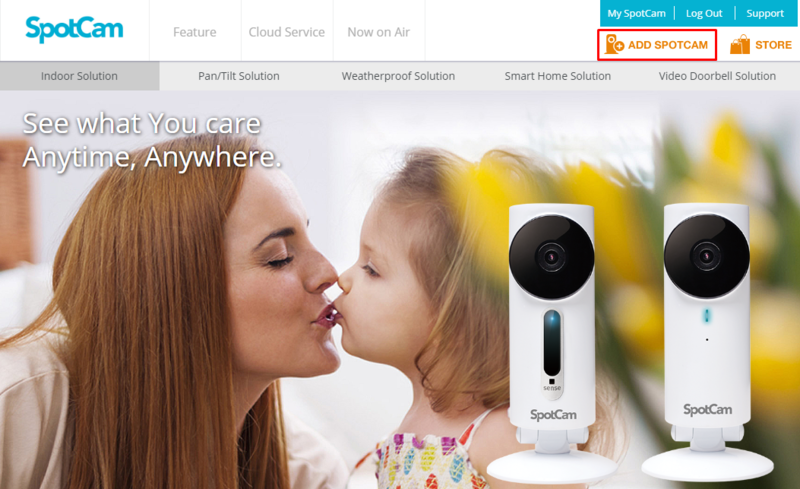 If you are using PC or laptop, just visit MySpotCam.com home page and then you will see “Add SpotCam” button at the top right corner, next to “Store” button. If you are using iPad/iPhone or Android smart phone or tablet, please install SpotCam APP from Apple APP Store or Google Play. After log in to the APP, you can find “Add SpotCam” button in the menu as shown below.